Is there a connection between having ostepenia or osteoporosis (low bone mass) and having pain back pain? If you look through the medical literature and do a few Google searches, you will find that the standard answer is there is no association. Low bone mass does not cause pain. 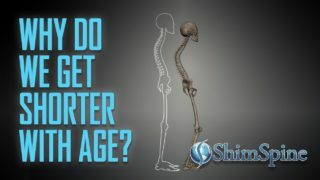 Osteoporosis has always been characterized as a “silent disease”. That is, you will not have any symptoms until you break something! Anecdotally, through the years I have heard a number of different practitioners say that osteoporosis really can cause pain even if there is no apparent break or fracture. To this, I have seen a number of patients who we have treated for complaints of back pain and have referred them to a rheumatologist to work-up and treat their underlying osteoporosis issues. Several of these patients have come back in follow-up to say their back pain got significantly better after they received treatment for low bone mass. Is this coincidence or is there more to this? I will say that there is not much in the literature about the association between low bone mass and back pain specifically. Interestingly, I have come across two types of studies that may help answer if an association exists. One of the studies, published in 2012 out of Amsterdam (Hoozemans MJ et al) found an association between low bone mass and low back pain in 30 to 40 year old males. Another, more recent retrospective study showed an association of low bone mineral density and chronic low back pain in one population (Al-Saeed O. et al). There are other types of studies that have been published looking at the use of the osteoporosis medications to manage or prevent pain. Several studies have shown a decrease in back pain with the use of Bisphosphonates and another drug known as teriparatide. Both of these are types of medications used to manage osteopenia and osteoporosis with patients who have significant risk factors. So is it possible that low bone mass which includes osteopenia and osteoporosis causes microtrabecular fractures which in turn cause pain? In laymen’s terms, the softening of cancellous bones (“spongy bone”) leads to a fracture or break that we usually cannot see on a standard x-ray. This can just happen suddenly from normal physical activity. Your spine is loaded with nerves that allow you to move and feel things including pain. Any disruption to the structures around the nerves can trigger a response. Therefore, even a slight break in the bone can cause a great deal of acute pain. One could argue that the few studies that have been published about the association of low bone mass and back pain are not well controlled clinical trials and caution must be given when making any kind of concrete opinions about the outcomes. Going back to my opening question, Is there a connection between having osteopenia or osteoporosis (low bone mass) and having pain back pain? I think the answer is that the association is unclear based on current evidence. 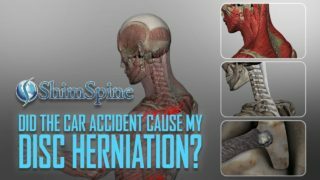 For decades the medical community has said that back pain really does not come from low bone mass unless you have a broken bone. 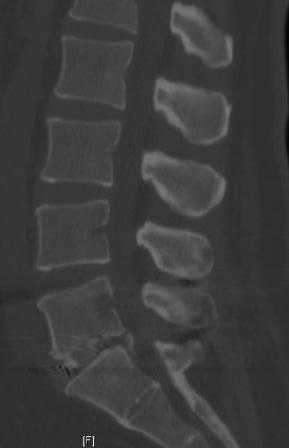 While I am not a physician or expert in the field of osteoporosis, but there does appear to be some type of relationship between back pain and having low bone mass.